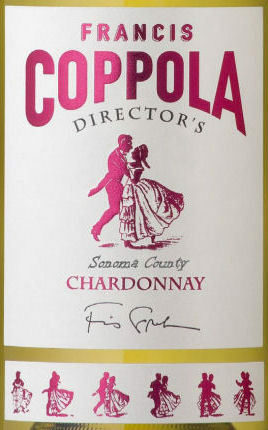 Winemaker's Notes: fruity and floral bouquet is reminiscent of green apples and meadow flowers. This wine’s smooth, refreshing flavors balance beautifully with its structure and acidity. Orvieto also offers a unique mineral character that comes from the chalky limestone soil called tufa. The finish is long and fragrant, with hints of almond. Light straw color, opens with bright citrus, lime, and tangerine aromas that carry through the palate. The wine finishes with crisp acidity and a touch of mineralit. Winemaker's Notes: The wine is fresh, fruity and spicy, rich and creamy, with delicate hints of vanilla. Bright golden yellow in color, this wine delivers an assertive bouquet with exotic fruit and spice aromas and a fresh, vivacious and highly polished palate. 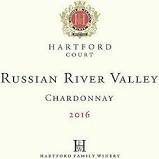 Very fragrant and juicy Chardonnay, which bestows an exotic perfume of melon, fig, tangerine and plumeria flowers followed by succulent flavors of peaches, pineapple, and spices that fold into a butterscotch finish. Aromas of nectarine, stone fruit, white peach and oak spice are accented with hints of vanilla, toasted nuts and a touch of butterscotch and light caramel with a subtle cinnamon spice undertone. This wine has the distinctive Sonoma-Cutrer balance between elegance and richness for a medium-bodied, mouth-filling wine. The creamy texture of this wine offers flavors of ripe pear and peach that is balanced with a nice, bright acidity. There is lots of finesse’ to the long, silky finish highlighted with long barrel spice notes. Winemaker's Notes: bright, straw-yellow color and vibrant hues, the wine has aromas of Cornish apple, stone fruit and lemon, with cinnamon and allspice undertones. The Burgundian winemaking techniques, contribute a complex bouquet of toasted brioche, crème brulée, and roasted hazelnuts. This plush and racy Chardonnay with complex aromas and flavors is balanced by palate-cleansing acidity. Winemaker's Notes: perfect balance of tropical fruit, acidity and creamy notes of butter, vanilla and subtle oak from barrel aging, this Chardonnay has a round mouth-feel and a crisp, long finish. Winemaker's Notes: straw yellow color. Its clean, intense aroma and bone-dry taste makes this a wine of great personality and versatility. Winemaker's Notes: opens with gorgeous layered white blossom aromas, followed by creamy vanilla, citrus, stone fruit and melon. 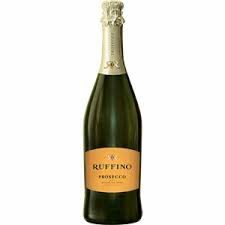 With elegant acidity and crisp structure, this medium-bodied sparkling wine displays an excellent mousse and a rich, lingering finish. Winemaker's Notes: offers sweet lime and tangerine aromas with subtle mineral notes. The mouth-watering acidity is beautifully balanced by flavorful Washington Riesling fruit. Eroica is a blended statement of the finest Riesling vineyards in the state. Winemaker's Notes: flavors of vanilla, roasted nuts and a hint of toast. A result of the carefully chosen infusion of terroir and reserve wines, the finish is long. 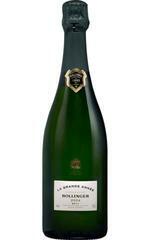 Imparting to the finish is lightness from Chardonnay, fruitiness from Pinot Noir and roundness provided by Pinot Meunier. Wine Enthusiast Rated 90: a fruity while structured wine. It has both fresh and fragrant fruit as well as richness, a soft, creamy texture and bright acidity. Winemaker's Notes: pale yellow with shades of green in color. On the nose, subtly vinous aromas of citrus, nut and bread. This champagne is delicate, soft and fruity. Winemaker's Notes: boasts fresh, fragrant, apple, melon and pear aromas with a hint of oak spice. Rich and mouthfilling on the palate, its smooth, beautifully balanced, yellow apple, nectarine and honeydew melon flavors segue into a long, succulent finish enhanced by refreshing mineral and spicy oak tones. Winemaker's Notes: golden color, distinctive of black grape varieties with very fine bubbles. A beautiful aromatic complexity with ripe fruit and spicy aromas, hints of roasted apples, apple compote and peaches. On the palate a subtle combination of structure, length and vivacity, bubbles like velvet and pear, brioche and spicy aromas. To the eye: its delicate blush and old gold colours are a sign of maturity and of Bollinger’s winemaking skills. To the nose: its aromas are a testimony to the barrels it aged in: toasted bread and brandied fruit ; notes of exotic spices, rhubarb and stone fruit. To the palate: powerful yet soft bubbles ; remarkable structure and length. Wine Spectator Rated 96: There’s a subtle power to this graceful Champagne, which boasts a firm, crystalline frame of acidity married to the fine, satinlike mousse and notes of white raspberry, brioche and Earl Grey tea. Seamless through to the long finish of smoke and spice accents, this opens beautifully in the glass. Winemaker's Notes: bright, juicy red featuring aromas of blueberries and currants with subtle hints of dried herbs. Red berry flavors are complemented by a touch of spicy oak and accentuated by refined tannins. Winemaker's Notes: offers ripe flavors of blackcurrant and jammy black plum accented by notes of caramelized oak and baking spice. The round, plush mouthfeel offers firm structure framed by a fruit-focused finish. Color: Ruby-red, tending toward garnet with age. Bouquet: Black cherry with some earth notes. Taste: Round and well structured, with rich fruit and soft tannins. Perfect with pasta and grilled chicken. Wine Enthusiast rated 92. Winemaker's Notes: The depth of dark berry fruit and spicy finish distinguish this wine. Framed by floral notes and lightly toasted oak, we are proud of this California Syrah. The wines blended are all traditional Rhone varieties and are used to add complexity the red fruit component of the wine, add some spiciness and improve the overall balance. Winemaker's Notes: nose has characteristics of spice and blueberry in addition to a bacon (or pancetta) and a white pepper element. The palate is full of berries, a hint of caramel, with a dusty chocolate finish. The wine has great structure, is well balanced, and has a delicious lingering finish. Deliciously approachable with vibrant, ripe black cherry flavors, accented by notes of toasted caramel and vanilla, with smooth, well-structured tannins. Winemaker's Notes: has aromas of ripe cherry, pomegranate, and a hint of rosemary. This wine has lush flavors of strawberry pie on the palate, unfolding into a rich, velvety finish. French oak aging gives the wine structure and depth. Winemaker's Notes: voluptuous boysenberry jam and bramble aromas, as well as hints of violet and spice. On the palate, lush red and black fruit flavors are accentuated by well-proportioned tannins that add structure while carrying the wine to a long, satisfying finish. Winemaker's Notes: intense ruby red color with glossy purple hues. This is an intense, distinct and delicately ripe wine, with a hint of raspberry and pepper. The palate is dry, supple and lively with red currant and blueberry overtones. Pairings: Enjoy with cured meats & cheese or rack of lamb. 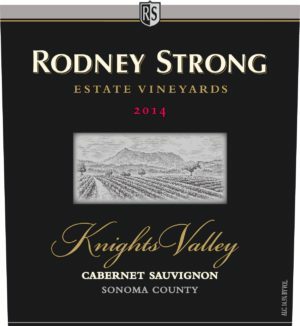 This Cabernet Sauvignon is pure Paso Robles, full of polished aromas of blackberry, cherry and vanilla, leading to flavors of dark red fruits, black currants and hints of pepper, cocoa powder and caramelized oak. Rich yet smooth, this wine is very approachable now, and will continue to mature for years to come. 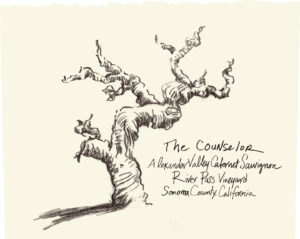 Winemaker's Notes: distinguished by its dark profile and deep, decadent flavors, representative of the cool vintage. Aromas of black plums and cherry pie are elevated by layers of spice cake and caramelized vanilla. Boysenberry jam introduces the palate, supported by black fruit and swirls of rich cocoa. Barrel influence is evident in the complex structure and toasty spices that accompany the dark chocolaty tannins into a long, lively finish. Winemaker's Notes: aromas of blackberry jam with hints of balsamic vinegar, blueberry and mild black pepper notes. On the palate, flavors of black cherry, boysenberry and blackberry pie are interlaced with mocha, toffee and vanilla. The bright fruit flavors, balanced acidity and tannins are complemented by a soft, round mouthfeel and a long finish. Winemaker's Notes: deep, rich color and concentrated black fruit character. Lush, dark berry and cassis flavors complemented by 12 months of French oak barrel aging and a supple tannin structure. Winemaker's Notes: Colour: intense ruby red. Bouquet: fresh and fruity, with typical varietal notes of cherry and blackberry, enriched by more complex hints of licorice, tobacco and hazelnut. Taste: large and soft structure, showing a surprisingly long finish. The full-bodied structure is a hallmark. The wine opens with stunning aromas of blackberry, black cherry and toasty scents; on the palate is concentrated with bold, velvety flavors of cassis, plum, blackberry and dried apple. Intense mouth filling fruit linger on the palate and end in a beautifully elegant finish. Winemaker's Notes: ripe cherry and berry aromas are in full bloom in this wine. It is what one would to refer to as a Cab Lover’s Merlot. With mocha, red currant and vanilla notes, this medium bodied, well balanced wine with silky, smooth tannins ends in a long, lingering finish. Winemaker's Notes: A brilliant ruby red in color, the wine shows aromas of red currants and blackberries accompanied by light notes of violets and tobacco. Full and supple on the palate, the flavors once again show red fruit together with delicate notes of vanilla and tobacco. The wine is soft on the finish with balanced tannins and acidity, which add to its savor and persistence. 90% Prugnolo Gentile(Sangiovese) and 10% Merlot. Winemakers notes: complex and vibrant aromas of red plum, cherry and forest berries mingle with deeper notes of violet, earthy tobacco, and leather, accented by hints of vanilla. Dried herbs like marjoram and oregano add complexity. Winemaker's Notes: color is deep garnet. In the glass it exudes aromas of ripe black plum, cherry blossom, cranberry, orange peel, and baking spices. On the palate the wine is medium bodied with rich black cherry, plum, and pie cherry, with hints of white pepper and minerals. The long, smooth, clean finish leaves you wanting to take another sip. 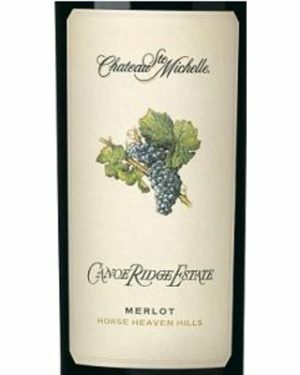 Winemaker's Notes: This beautifully-balanced and medium-bodied Merlot is velvety with a complex nose of plum, chocolate spice, dark berries, coffee, caramel and cedar. A fleshy mouthfeel is followed by flavors of bright, upfront, red fruit, a structured mid-palate and a firm backbone of ripe tannins. This wine has impressive length and a lasting, elegant finish. 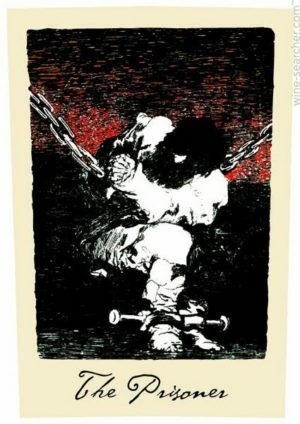 Winemaker's Notes: The 2013J. Lohr Hilltop Cabernet Sauvignon is darkly-colored with a red-purple hue. Varietal fruit aromas of ripe black plum and violet are complemented by the French oak barrel signature of hazelnut and dark chocolate. A dense but approachable mid-palate is followed by round, intense fruit on the finish. Winemaker's Notes: toes the line between red and dark cherry, while offering spicy forest floor and hints of black tea. The palate is lively and graceful, building density and focus as the silky tannins build into the long,energetic finish. Offers dark cherry fruit character. This is a great food wine and its dusty tannins make it a perfect match with Italian food. This deeply colored Cabernet is bursting with aromas of spicy dark plum, crushed blackberries and wild raspberry.The complex layers of spice and mocha chocolate on the palate are framed in rich, velvety tannins with a long lingering finish. This Malbec is made from grapes grown in the Andes Mountains, shipped chilled to Napa Valley and produced with the same techniques as Caymus Cabernet. Falling outside standard labeling rules, it does not include a vintage date but is known by the voyage from which it traveled (Voyage 6 is the 2015 vintage). Offering scents of ripe plums and cherries, this wine is powerful and supple, with flavors of French oak and soft tannins. Winemaker's Notes: offers pleasing aromas of ripe, crushed wild berries and cola. The palate is loaded with blackberry, plum and dark cherry flavors along with hints of dried herb. The wine has a full, yet structured mouthfeel with soft tannins and a lingering finish. Winemaker's Notes: Ruby red in color, the 2012 Pèppoli is characterized by notes of cherries and raspberries, and the aromatic profile is completed by nuances of violets and vanilla, On the palate, the wine is tasty and balanced, lively in its acidity, a characteristic of Sangiovese-based wines. The fruity notes and the spices of the oak dominate the finish and aftertaste. The wine is soft in its tannins and long and lingering on the finish. Winemaker's Notes: the explosive nose lifts from the glass with intriguing aromas of sweet tobacco, cayenne and guajillo pepper, graphite and cedar, violets and dried rose petal. The palate is a continuation of the nose with Italian plum, bakers chocolate, black pepper and a prominent spice component leading to fine grain tannins and a long luxurious finish. Winemaker's Notes: opaque deep red with a vibrant ruby edge, the nose shows cassis, red plum, and blackberry before opening up to deep tobacco, cedar, vanilla, green peppercorn spice, and smoky mineral notes. A blend of 65% Cabernet Sauvignon, 20% Merlot and 15 % Syarh, this wine has aromas of earth flowers, ripe fruit and meat follow through to a full body, with fine, silky tannins and a medium finish. Beautiful garnet red color with brick hues. Aromas of spice, pepper and black cherries. On the palate the wine is powerful, firm elegant. Winemaker's Notes: Intense ruby red. Tobacco and white pepper lead into aromas of roses and a touch of flint. The taste reveals velvety tannins with a fruity core and a finish of rosemary and figs. A slightly subdued nose with a good amount of berry, vanilla and toasty oak character on the palate. Medium-bodied with good fruit and a smooth finish. Wine Advocate Rated 90: exhibits a dense purple color as well as attractive floral, blackcurrant and blue fruit-dominated aromatics. The enticing bouquet is followed by a medium-bodied, pure, complete wine with a solid attack, mid-palate and finish. There is noticeable, but well-integrated tannin in this excellent/outstanding effort. Wine Spectator rated 90: Rich, open-knit style, sporting cherry, currant and tobacco notes, with grainy tannins on the finish. Balanced, but will need a few years to integrate fully. Wine Enthusiast rated 92. Aromas of violet, iris, ripe black-skinned fruit, dried grape and a whiff of tobacco lead the way on this full-bodied charmer. The smooth, structured palate delivers dried cherry, raspberry compote, licorice and cake spice while velvety tannins provide support..
Color: Intense vivid garnet. Bouquet: dried fruits, ripe berry, and plum. Taste: Rich, velvety, and full-bodied. Winemaker's Notes: displays a complex medley of aromas that includes tobacco, chocolate-covered cherries, cedar, tarragon and black pepper. The black cherry and dark fruit notes continue on the richly textured palate with a broad entry underscoring this wine’s structure and depth. Notes of black tea and tobacco add to a finish that is both sophisticated and satisfying. Wine Advocate 95; Wine Enthusiast 95; Wine Spectator 93 A classic style Barolo. Excellent structure, harmony, elegance. Soft tannins and balanced fruit. Approachable, but with a very long ageing potential. Wine Advocate Rated 91: with no hard edges, this seamless stunner is a top example of not only 2012, but of Charles Krug's resurgence in the marketplace as a serious player. Winemaker's Notes: Delicate aromas of fresh cranberry and red cherry mingle with enticing notes of cassis, chocolate and tobacco. The wine is round, soft and refined with elegant flavors of red currant, freshly cut herbs, vanilla bean and allspice. Predominantly French oak aging lends structure to the mid-palate with soft tannins and an inviting mouthfeel, balanced by a backbone of clean acidity. Wine Advocate Rated 93: offers pure blackberry and black currant fruit intermixed with notions of incense, vanillin and spice. Full-bodied, rich and impressively endowed, it is a brilliant example of just how well Bordeaux varietals can do in selected Sonoma micro-climates. The fruit is so sweet that it can be appreciated now for its youth and exuberance, but will also benefit from another 2-3 years in the bottle. Wine Advocate Rated 90: exhibits a dense ruby/purple color, sweet crème de cassis fruit, chocolate, licorice and underbrush characteristics in a delicious, fruit-forward, open-knit style. Wine Advocate Rated 90: offers delicious blackcurrant fruit with an attractive meaty, rich fruitiness, well-integrated wood, and hints of spice and oak. Fleshy and medium-bodied but also made in the elegant style sought by this winery. Winemaker's Notes: beautiful aromatics of dark fruit, cigar box, dried herbs, graphite notes and pain grille. Expressive Bing cherry, licorice, blueberry and blackberry layer this silky smooth wine of great depth and personality. Richly nuanced with supple tannins and a lingering velvety finish. Colour: mauve red, intense and very deep. Bouquet: complex, but immediately captivating, fresh and sweet; with essences of plum, cherry, blackberry and raspberry jam combined with hints of chocolate, cigar box, vanilla and licorice. Taste: muscular and toned, surprising combination of power and softness, with sweet and gentle tannins. Winemaker's Notes: an intense ruby red color with purple highlights. The wine is potent and complex on the nose with spicy notes which mingle with aromas of red fruit, like cherries and plums, smoke, balsamic sensations, licorice and rosemary. The flavors are mouth- filling and elegant with much volume and an excellent balance in the texture. The oak is perfectly fused in the spicy and fruity finish and aftertaste. Winemaker's Notes: Overture displays a vibrant garnet color with expressive aromas of fresh red fruit. Notes of bright cherry and red currant are underpinned by more earthy tones of ground cocoa, cedar and vanilla. Extended barrel aging gives the wine an elegant texture accentuated by round tannins and a soft mouthfeel. Rated 94 Robert Parker; 97 by Jame Suckling. Winemaker's Notes: Dense and dark in colors, with inviting aromas of fresh cherry and blackberry layered with notes of violets, graphite and hints of cedar spice. 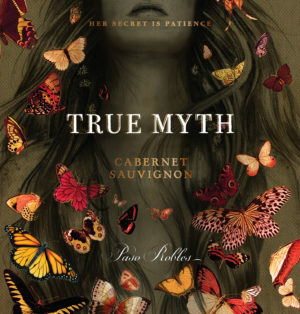 This wine exudes warmth with flavors of dark berries, dark chocolate, savor herbs. Winemaker's Notes: rich, dense ruby color, hints at the dark fruit nose of blackberry and currant that carries through to the palate, interwoven with complex aromas of black licorice, anise and crème de cassis. On the palate, the wine opens up to reveal an earthiness, with brown spice, cigar box and ripe dark fruits that linger throughout the extracted and long finish. The texture is opulent and rich, yet has a velvety quality with supple density. Rich, fine-grained tannins are balanced with ripe fruit, acidity and oak. Wine Spectator-89 rating. With a moderate to deep ruby color, the 2000 Opus One shows aromas of sandalwood, leather, caramel and a hint of anise. Soft and plush in the mouth, the wine o ers avors of plums and black licorice supported by sweet tannins and a long, intense finish. Tasting Notes: sleek and elegant, with a core of dusty oak, dark berry, black licorice and violet, this gains depth and expands on the finish. The fruit core pushes past the drying, gripping tannins. Cabernet Sauvignon, Merlot, Petit Verdot, Cabernet Franc and Malbec blend. Wine Spectator 93: A Pauillac-like expression from Napa Valley, this features smoky, toasty oak from the get-go, framing the intense flavors of earth, crushed rock and gravelly dried dark berry. The dense core of fruit pushes through a front of rustic graphite and loamy earth. Finishes with a long, layered aftertaste. Cabernet Sauvignon. Cabernet Franc, Petit Verdot, Merlot and Malbec. James Suckling 97: Mesmerizing aromas of flowers, bark, currants and blackberries. Exquisite tension and finesse with an almost Burgundian texture, yet it’s Napa in its soul with ripe fruit, stones, spices and Chinese tea leaf flavors. Savory and delicious.